A wonderful opportunity to secure a beautiful two-story home in a prime location in Lakes on Eldridge North, one of Houston's premier gated communities with more than 25 acres of green park space, lakes and nature! 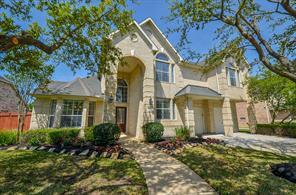 Convenient to I-10, Beltway 8, and the Energy Corridor, 6327 Collina Springs Court is a well-maintained and upgraded home featuring soaring ceilings, an open floorplan, and a lovely master suite with new carpet, new glass shower door, gas fireplace, Jacuzzi tub, and much more. Enjoy this beautifully landscaped wrap-around yard and patio thatu2019s perfect for entertaining - or take a quick five-minute walk to the state-of-the-art clubhouse and recreation center with a sparkling junior Olympic-sized swimming pool, fitness center, volleyball courts, and tennis courts. All appliances and lawn maintenance included! Never flooded.